Welcome Recruitment Chairmen & Brothers! Recruitment is one of the most important functions that a chapter or colony can perform. It is important to understand why recruitment is so important to the Fraternity and our future. Recruitment is the lifeblood of the Fraternity. Without it, none of us would have been led to make such a significant decision that would impact our lives. 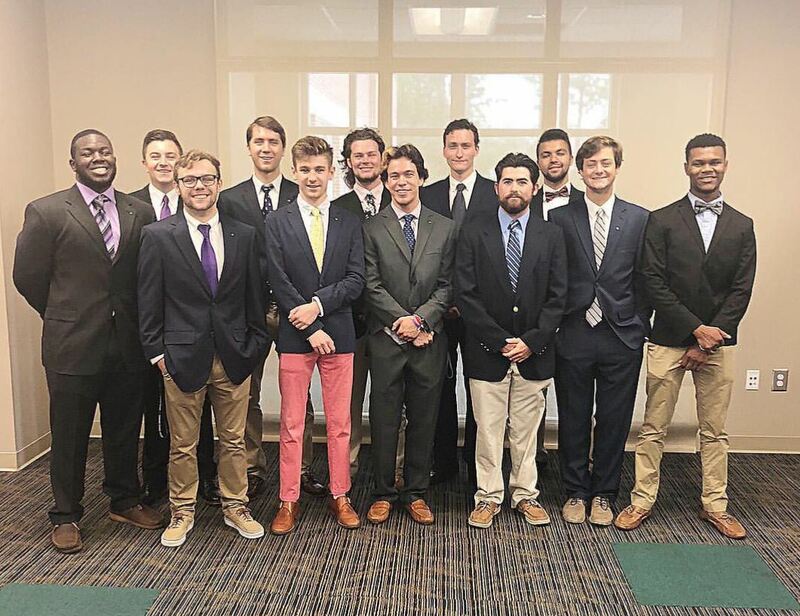 Part of the mission of Phi Gamma Delta is to bring men into our chapters and colonies who fit our ideals and values, and to perpetuate the good name of Phi Gamma Delta all across North America. Are You Ready to Take Your Chapter to New Heights? 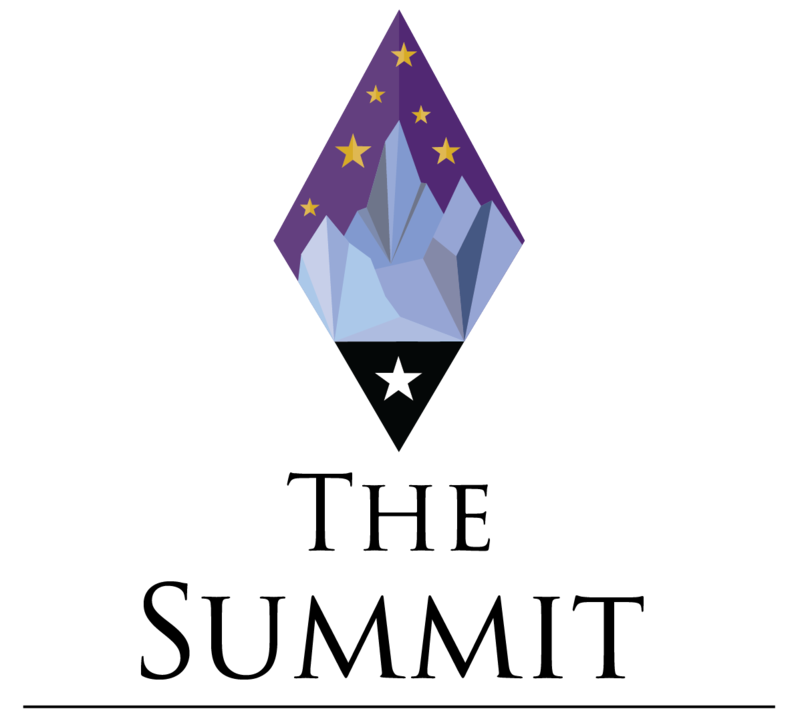 The Summit is a new event that expands upon the former Recruitment Workshop to include RECRUITMENT and NEW MEMBER EDUCATION onboarding strategies and tactics. Participants will build a new recruitment plan and a unique new member education program for their chapter/colony. To learn more about the event, and to register, click here! Before and during the recruitment week, personally, invite the legacy out to all group recruitment events that you host, and take him out to dinner two or three times (or another similar small, one on one event). You also need to assign each legacy that comes through a specific brother to act as their liaison for the chapter. Ideally, it should be a cabinet officer, recruitment chairman, or a past officer that will personally invite the legacy out to events as well as keep in touch with him throughout recruitment. After getting to know the legacy, talk to his relative to see if they have anything to say about him or any input. Once the chapter or colony votes, or has a pretty good idea of whether or not the legacy will receive a bid, reach out to his relative and inform him right away. All legacies should be given a fair chance at becoming a member and given extra attention out of respect for their relative, who is our brother. A new manual and other materials will be coming soon! 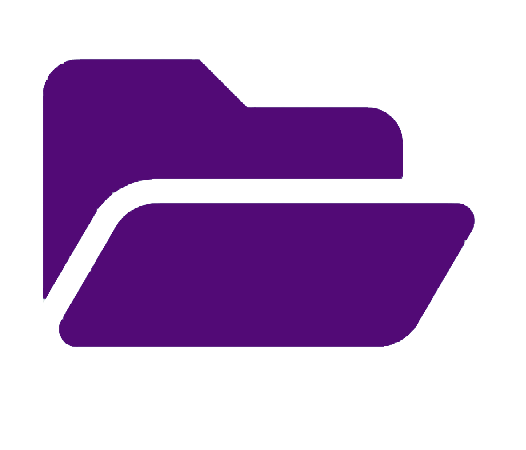 Contact the Director of Growth if you would like help customizing resources to fit your particular chapter/colony, or have other ideas for useful materials! Social Excellence: Social Excellence increases the social confidence of organizational members and prepares them with the skills to realize the power of human connection, to gather people together and make the world a better place. Strategic Recruitment: While learning various strategies and tactics, Brothers will have a chance to collaborate in an interactive program on the best ways to successfully take men from potential members to Brothers. Recruitment Branding: Using your chapters vision, future goals and purpose, we will help come up with a branding statement to use for promotions to help your chapter stand out from the rest. If you are interested in one of these programs, contact your Field Secretary or the Director of Growth! Brothers,So, you just were appointed the recruitment chairmen for the next academic year. Recruitment is a prime opportunity to take you chapter to new heights, and you get to facilitate that. No pressure. Recruitment is the life-blood of our organization. If we are not successful in recruitment, then our organization is destined to fail. However, there are some simple things you can do to learn and be prepared to succeed and make this semester your chapters best recruitment season yet. While you are the chairmen, it isn’t only your job! Talk to other chairmen and brothers to see how you can collaborate and work together for success. Your job is to facilitate the success, not do every detail on your own to be successful. Format the names list to fit your strategy. Make sure that you and the chapter is prepared to collect the information you need, and that the names that are on the list from past semesters are quality leads. Check out some names list options, like Chapter Builder, google sheets or other options to share information across the brotherhood. Utilize positive relationships: graduates, sororities, campus administration or other campus organizations. Use your campus network to help find the highest quality potential members possible. We need to be able to follow the rules and restrictions put in place: our Legacy Policy, qualifications of membership on campus and from IHQ, and formal recruitment proceedings. Work with your treasurer to figure out what your recruitment budget is and start planning. What percentage goes to large events? Small events? Publicizing events? YouTube has a ton of recruitment videos with an endless number of tips. Check out some videos by PhiredUp or other videos that talk about recruiting. There are professionals out there who do this for a living, use their knowledge. Think about what you don’t know, how can you learn. Is it a program from IHQ? What about our New Member Summit (formerly Recruitment Workshop, details to come soon!)? How can you come into a semester with the most knowledge for success? 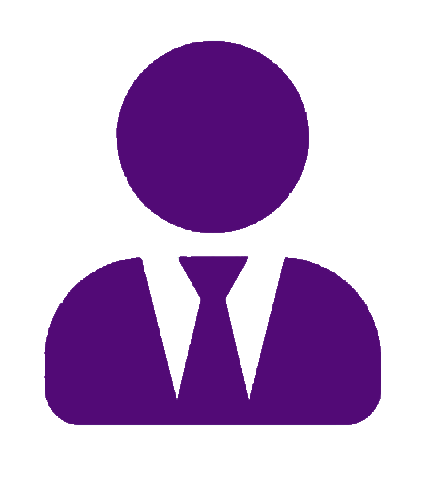 Check out phigam.org for resources and samples to help with your efforts. 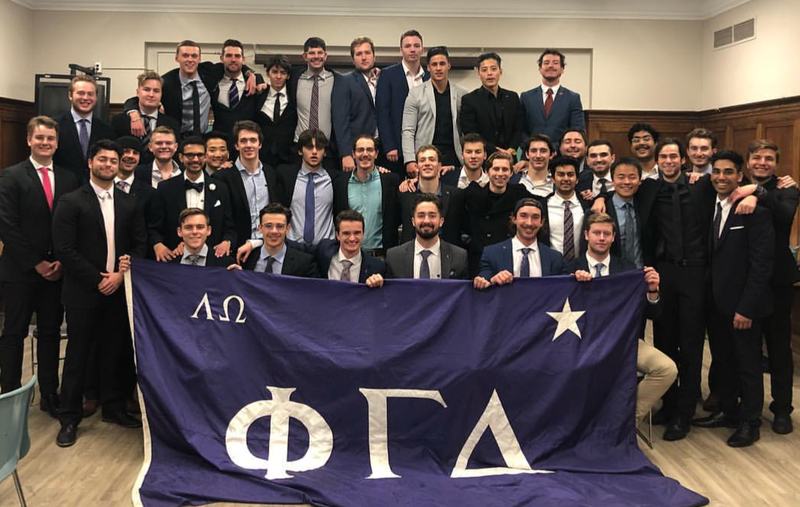 Between the Phi Gamma Delta Recruitment Manual and the books by PhiredUp, there are plenty of things you can read to catch up about tips and tricks. Be sure to have your chapter president or recording secretary update your roster to be sure to get all the email updates and other information sent out for recruitment chairmen. Recruitment events are important. Nobody is going to argue that! They are one of the best ways for us to show our brotherhood and to simply have fun. If events are planned, thought out and executed properly, they can produce invaluable results. However, we need to strategize about what kind of events we are having. Sometimes large events are just not enough. Big events can be a great way to start a semester and to build strong momentum into recruitment. Large events are a great way to add a significant number of names to our list in a short period of time. If we have a larger chapter, large events can help show off the size of our organization and the tight knit brotherhood among so many men. Bigger events provide an endless list of activities that can be done. Large events can quickly take a toll on our recruitment budget. No matter the size of our organization, if our brothers don’t show up, our image is at risk. Larger events take a larger amount of planning and more effort to execute. If we only hold large events, potential members expectations of membership change to be large campus wide events all the time. It has been proven that people join organizations where they feel like they belong. Smaller events are a great way to build that sense of belonging in a new organization. Potential members can see the activities you and your brothers do on a day-to-day basis, so their expectations are more aligned. Smaller settings allow for you to build better and closer relationships with potential members. While relationships can be better with some potential members, there are less of them around to build relationships with. Smaller group settings, or 1-1 situations, can be awkward. As with larger events, if our brothers don’t show up, or image is at risk. No matter what the size of the event is, there are always things that need to be considered. Have you thought about all these things for your events this semester? How and when do we start promoting our events? Have we delegated responsibilities to brothers and our committee? Are our events convenient for potential members to attend? Are our brothers excited enough for the event to show up? Let’s talk about diversity in recruitment for a second. I’m not talking about the buzz word that we all say we value and appreciate when we are talking to potential members or having a brotherhood with eight different majors and saying that counts in an 80-man chapter. I’m talking about intentionally seeking new members with differing views and opinions in order to better our organization. Recruiting in our comfort zone is just that… comfortable! How is comfy recruiting helping develop our members to branch out and develop socially and mentally? And if we recruit people who think exactly like us, wont they view our operations exactly like we do? If we can be intentional with our recruitment, we can challenge our members, the recruitment process and our operations! Phi Gamma Delta’s aspiration is to Build Courageous Leaders, but you need to help facilitate that. There is no development occurring if our brothers can only talk to people who think the exact same way as them. Operationally, new mindsets and viewpoints are the best way to change, improve and expand. Swedish-American writer, entrepreneur and public speaker Frans Johansson said, “The best ideas emerge when different perspectives meet.” Lead your campus, and Phi Gamma Delta, by facilitating those vastly different perspectives to get the best ideas possible. What Are the Barriers Stopping Us? This is not an entirely terrible idea! However, how can we challenge ourselves to find potential members who share values, but have a different way of thinking? 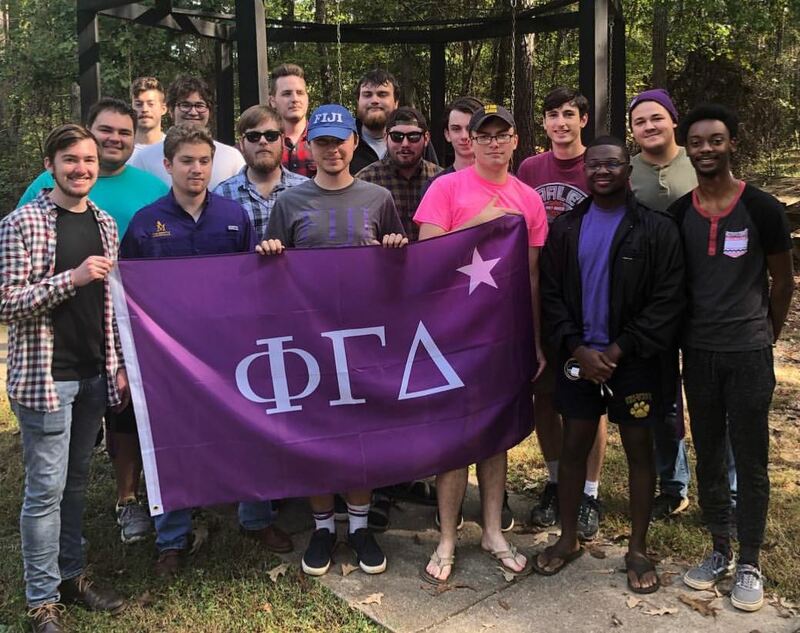 It is easy to assume potential members would join a multicultural fraternity if there is one that they closely identify with, but that is not inherently true. Maybe they just feel like they belong there. But who is to say that if we open our doors that, they wouldn’t feel welcome in our organization too. Why not? Maybe they have just never been asked. As fraternity men, we are in a very privileged position. But are we meeting the needs of our potential member’s? The incoming generation is looking for diversity and development opportunities more than ever and can see if we say we value it or if we actually do. Can first generation students and students from a low-income background afford to be a member and participate in our prestigious organization? - Quit comfy recruitment. It might work now, but it won't work forever! - Define diversity for your organization and university: Look at the cross section of your university and your IFC. How can you help challenge your chapter to match that? - Develop outreach strategies: What organizations are you going to present to talk about who you are as an organization? Can you build and expand that to reach leaders in other organizations with varying perspectives? It's time to put an end to comfy recruitment, where we only talk and recruit members who are exactly like us. It is preventing our members from being prepared for the real world after college and causing major stagnation operationally. As we head into the new year, and recruitment season starts back up, remember to be intentional with recruitment to try and bring new perspectives into your organization. Changing your perspective, changes your experience! It's Time to Pay Attention to Retention! How Can We Stop It? Recruitment is often considered the backbone of a healthy fraternity. However, if we have poor retention, our efforts are wasted! There are three main areas where retention can affect the well-being of our organization: throughout the recruitment process, pledging process and post initiation. Poor retention through these periods of membership cause valuable, impactful and important brothers to leave our organization and not follow through on their potential. We need to continuously be retaining and recruiting members, so we can spread the values and ever evolving purpose of our fraternity. Our retention percentages reflect directly onto the culture of our chapter during and after recruitment. There are consistently two main reasons why our organizations struggle with retention. Misaligned Expectations: This is most common with new members or during a pledging term. Men feel they were recruited off of one set of ideals, but begin to experience a different set once they become more involved. Lack of Connection: This can happen at any point and time in an organization, from the oldest to youngest members. When our members start feeling like they are not valued, don't fit in or no longer belong in the organization, they seek opportunities to be involved and valued elsewhere. How Can We Stop It From Happening? There are simple things we can do to improve retention and ways to change the culture for members from the start of their recruitment process, throughout their entire time as an undergraduate brother. Evaluate Your Roster: Look through your roster and see who is disengaged and have a conversation with them to ask why. You or another leader should try to intentionally and deliberately build a relationship with them. Evaluate Recruitment Strategies: Take the time to reflect and look at your recruitment period. Are your events and strategy fully representing your organization? Do your potential members get a true vision of who you are as an organization and what it would be like to be a part of it? Put Your People First: Do you feel valued in your organization? If yes, does everyone else feel the same? If not, why? Work to build your recruitment culture off valuing each other and appreciating who each brother is and what they bring to the table. Ask Questions: Ask your members what they think. Talk to your new members about what their experience is/was. Ask your seniors why they are disengaged. Check out Phired Up blog "Why Retention Matters Most," by Colleen Coffery-Melchiorre to learn more about why it is time to pay attention to retention. Recruitment: Don't Panic, It's Time to Be Dynamic! For some campuses, the formal recruitment period is coming to an end, just getting started or being planned for the start of next semester. However, the timing of our formal recruitment period should not matter if we want to reach peak success in recruitment. If we want the best possible results in recruitment we need to focus on being dynamic. Dynamic Recruitment is a topic consistently brought up by campus administration and headquarters. While it is a great idea, we don't always talk about how to actually apply it. This recruitment update is intended to help you start coming up with ideas on being truly dynamic with your recruitment. If you've heard anyone talk about dynamic recruitment, then you know it's basis is recruiting 365 days a year, and at the simplest form that is correct. Dynamic Recruitment is an active approach to building meaningful relationship with non-Greek students through an intentional and strategic process. Utilizing small, normal friendship building activities, over large recruitment events, is a key to successful Dynamic Recruitment. We should always work to be authentic and represent ourselves to the best of our ability. However, it is easy to fall into a trap to act how we think potential members want us to act. This negatively impacts not just the formal recruitment period, but outside of that as well. As a chapter, representing your authentic self, and showing that to the rest of campus, will attract like-minded new members. Use that to your advantage! Bring your authentic selves, and your events, onto campus and promote the correlation. Wear your Fiji shirts to a brotherhood basketball tournament at the gym. Set-up an information table next to your philanthropy table. Help others build their own correlation between your authentic values based organization and membership. Every chapter and colony has recruitment events squished into an IFC mandated period. And while these events are great and have a particular way to be run, those aren't the only events we have as a fraternity. Any events we have can be a recruitment event! There is nothing stopping us from inviting non-Greek men to come to brotherhood events, community service events, philanthropy events, or any other events. If we can get potential members feeling welcomed into our organization before the recruitment period even starts, then getting them through the process and to a bid vote is even easier! If you questions about developing your chapter or colony's recruitment model to be more dynamic, check out the Phi Gamma Delta Recruitment Manual, ask your field secretary, or call headquarters! Tabling at an organizational fair or for an individual event can be awkward and difficult. However, for groups that can master it, it becomes a vital membership drive for their names list. Tabling professionally and energetically is an standout first impression compared to other organizations on campus that could be tabling for the same reasons. No matter the reason for the table, your goal is to be to shake every male’s student hand that walks by your table, with the purpose of getting their name and contact information on your list and invite them to the event. When & How Do We Follow Up? Whether we are meeting someone for the first time or they have become a regular at our table and events, we need to be conscientious if how and when we are following up afterwards. It has been proven that if we do not follow up with someone, within 24 hours of meeting and talking with them, they will forget you, the conversation and what their next steps should be. Also, if we go more than seven days without reaching out at all, our potential member has lost interest and the chances of them joining, decrease substantially. Therefore, it is important to remember to include three things when following up: their name, a personal connection (maybe mention that you enjoyed talking about a topic that was brought up), and the next step for them in the recruitment process (i.e. next event or when bids will be extended). There is a fine line between our table being eye catching and an eyesore. When collecting materials for your table, keep it simple and professional. Use a professional printer and high quality paper for brochures or marketing materials. 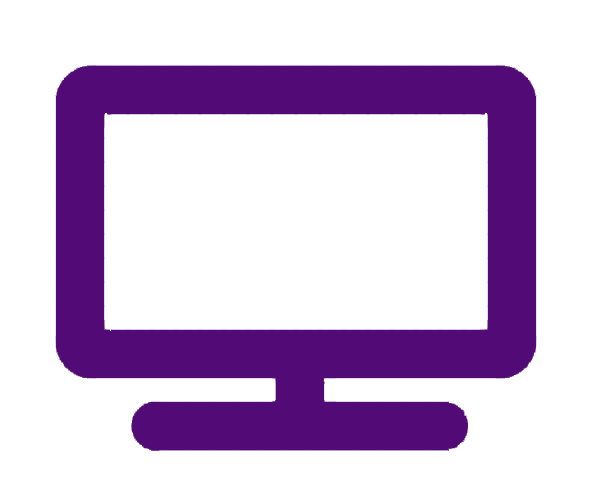 Be sure marketing information has contact information for potential members to get in contact with you, and a schedule of events. Use various a give-aways or raffles as a talking point and to help pull potential members to the table. A laptop or two can also be helpful. Use one for a slide show highlighting Brother and activities showcasing FIJI at its best, and the other with a sign up form open and ready. A tri-fold also is a great way to display images of your organization. Your entire chapter is not needed to utilize tabling at its fullest potential. Run the table with a maximum of 2-4 Brothers. Have 2 Brothers run the table at a time talking to everyone that walks by. The other 2 can walk around talking to people standing around and not actively walking towards tables. These Brothers can send them to the table and see what other groups might be doing to get others to their table if there are several groups tabling. Switch the pairings every half hour or so to an hour to keep high energy at the table. It is important to keep in mind, that even if there is only one person at the table, it can still be successful if done correctly. Below are some common mistakes that are made during tabling. These are traps that we unfortunately fall into, but with practice and conscious efforts we can avoid them and improve our results. Poor display planning: Be smart and think about what is on your table. Don't wait until thirty minutes before you have to be at the table, run around and collect random trinkets. Have a plan, think it through, and keep it simple. Failing to follow up with the people met: Especially at an organization fair, a potential member could be approached by any number of clubs, organizations and Fraternities. If we are failing to follow up, FIJI is going to get lost in the shuffle. Lack of practice or interpersonal skills resulting in poor conversations: Like anything, practice makes perfect! The more we practice either with ourselves or by going and setting up a table on campus, the easier tabling becomes, and more confident we get. If we can be relaxed and confident while tabling, the better relationships we can develop in the short interaction. The next event being too far away: Although there are sometimes restrictions based on the IFC calendars, we should try to have something to invite anyone we meet within 48 hours. People are busy, especially potential members who could be completely new to college life and trying to find their fit. If the event is more than two days away, they wont remember. Another reason follow up is so important. There are a few things we always seem to bring to our information tables, but that we really don't benefit from as much as we would think. Trophies: While trophies or awards can show off our accomplishments well, it is important to think critically how useful they are. If the award is more than a year old, consider it irrelevant. Potential members want to know about the group at the moment, not five years ago, or even two years ago. They want to know about your organization now. Also be sure to think about what a potential members know about Greek Life. A new college student may not understand what some awards mean, so they don't serve the positive purpose we think they do. Music: Music can be helpful to break the awkward silence that it is inevitable with tabling. However, it can be distracting and make it harder to talk to passer-byes. While it is encouraged not to bring music, if you do bring it, be sure to play it quiet enough to be able to carry on conversations with potential members. Chairs: Give your chairs away! Your goal is to shake every male's hand that walks by. Having a table between you and someone walking by makes it impossible. So give your chairs away, and stand in front of your table. If you questions about tabling, check out the Phi Gamma Delta Recruitment Manual, ask your field secretary, or call headquarters! Good luck throughout tabling season and during recruitment this semester! Congratulations to all brothers who are graduating this month! I hope all our chapter/colony members have been successful with finals and are ready to start summer break. Fall recruitment is just a few short months away. The best way to be successful is to take the next few months and prepare your chapter or colony. Remember the 5 P's: "Proper Planning Prevents Piss Poor Performance". Here are a few items to help you all prepare. This year's Recruitment Workshop is open for registration and is little more than one month away on June 15-17! All chapters and colonies are strongly encouraged to send at least one member, preferably the Recruitment Chairman. Attendees will learn the ins and outs of successful recruitment and leave the workshop with a plan to implement these lessons on their campus. The registration fee is billed after the workshop and is set at $150 per attendee. This covers two nights lodging, three meals, a BBQ Friday night and all educational material. Register HERE - the registration deadline is June 1. Just because the school may not be in session during the summer does not mean that you should take a break from recruiting. In fact, the summer offers a great time to focus on growing your prospect list and building relationships with them. This will give you a great leg up once the fall semester arrives. For example, the summer offers time to hold events either on campus, at a chapter house or localized events in brothers' hometowns. These events can be a great way to engage potential members during a period when they may not be hearing from any other fraternities. Additionally, this is a great time to reach out to incoming freshmen. Utilize social media to find incoming freshmen and send them a welcoming message. Work with your admissions office to build a presence during new student orientation. These kinds of first impressions can go a long way with building rapport. In addition to events during the summer, utilize this time to flesh out your recruitment plan. The summer is a perfect time to perfect your strategy. How do you plan on finding potential members? What kind of qualities are you looking for? What are your selling points that separate you from the competition? What are the responsibilities of every brother? What key dates do you have? Do you have a plan to practice or train brothers on successful recruitment efforts? These are all questions to think about as you build your recruitment plan. Simply ordering some shirts and planning a few dinners during rush week is not enough to succeed in today's fraternity world. One opportunity that too many chapters or colonies miss out on is graduate recommendations. Take some time in your next newsletter or graduate communication to seek out recommendations for potential members. This is a good way to find legacies or incoming freshmen. Leave no stone unturned when trying to find potential members. I hope everyone is back in the swing of things after spring break. Fall recruitment will be here before you know it. Now is a great time to begin working for fall recruitment. The best way to be successful in the fall is to work in the spring and summer. In this update, I want to cover a few items. This year's Recruitment Workshop will be held the weekend of June 15-17 in Lexington, KY. Attendees will work with a coach in small groups to learn details of successful recruitment and how they can apply it to their campus. Most importantly, they will work with their coach on creating a comprehensive plan to adopt these practices to their chapter or colony. It is STRONGLY recommended that each chapter or colony send at least one member. Where: University of Kentucky campus and International Headquarters, Lexington, KY. The cost of registration is set at $150 per member. This covers lodging, meals, and all educational resources. The fee is billed based on who registers (not attendance). More and more interfraternity councils and campuses are switching to more advanced recruitment technology. 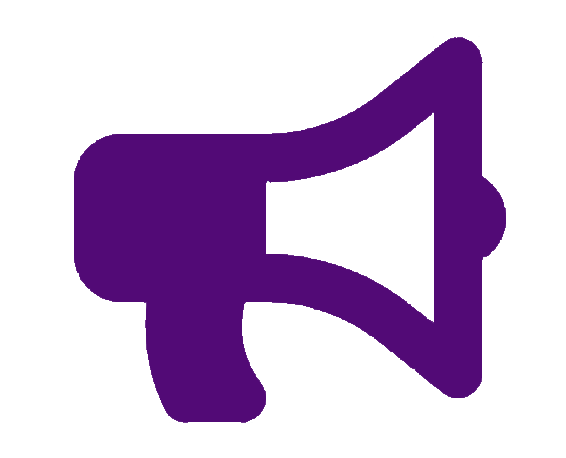 Phi Gamma Delta has a partnership with TechniPhi and the Chapter Builder software. In the past, we have sponsored accounts for chapters and colonies that cut the cost of an account ($500) for a chapter to $250. If you are interested in getting a leg up on the competition with this recruitment software, contact me at ctreanor@phigam.org. Get a head start on your fall recruitment planning by re-evaluating your names list. If you can begin building your names list before the end of the school year, you'll put yourselves ahead of the competition. Start building your names list of students already on campus and any incoming freshmen that you know. Utilize your brothers and pledges to begin building a list of students. It is important for you to begin working on a calendar for the summer and fall. Plan a calendar of recruitment events and opportunities for brothers to meet potential members that will extend from the spring into the summer and lead up to the fall. One important thing to note is to include your University or IFC calendar as well. They will have events that you want to participate in like orientation or an involvement fair. As college acceptances and decisions begin to go out, a good tip is to reach out to your graduate brothers for any recruitment recommendations or leads. This would be a good way for you to identify any legacies that will be on your campus. Make sure you reference the fraternity's policy on handling legacies here. I hope everyone is relaxing and enjoying spring break! It is hard to believe that the school year is almost over. Congratulations to the chapters and colonies that have successfully recruited new pledge classes this semester. For most of you, recruitment is dying down until the fall begins. If you want to get a leg up for fall recruitment, here are some things to think about beforehand. This year's Recruitment Workshop will take place June 15 - 17 in Lexington KY. Please mark your calendars and plan to send at least one member. Participants will spend the weekend learning the details about successful recruitment and how to adapt it to their campus. Registration will be opening next month. By now, most pledge classes are well underway in their education. Often times, new members are the most eager, energetic and ready to help. Put that excitement to good use and get them involved right away in recruitment! Have your pledges collect and add the names of all the non-Greek students they know on campus. Have them look through their residence halls, classes, clubs or other organizations to identify potential members. From there, these names can be added to your list and begin building a contact list for fall recruitment. Before prepping for fall recruitment, it is a smart idea to look back at recruitment from this past winter/spring. What went well? What didn't go well? What were your strengths? Reevaluate your recruitment process and identify areas to improve upon. Take a look at your names list. Are there any names on there that are still good to contact? Take notes from previous success or failure so that we can be better for the future. Looking ahead to fall recruitment, it's good to start with a goal in mind. What are your fall recruitment goals? How many seniors are about to graduate? Your goals should always be to replace the graduating seniors, and ideally, grow or maintain your size. Typically, the standard is to recruit at least 1/4 your chapter's or colony's size per year. If you have any questions regarding recruitment or any other resources or tools to help such as recruitment retreats, Chapter Builder, or staff visits please contact the Director of Growth. Know someone who embodies the values of Phi Gamma Delta? Fill out their information in the link below! The information will be sent to the chapter or colony at the noted university.